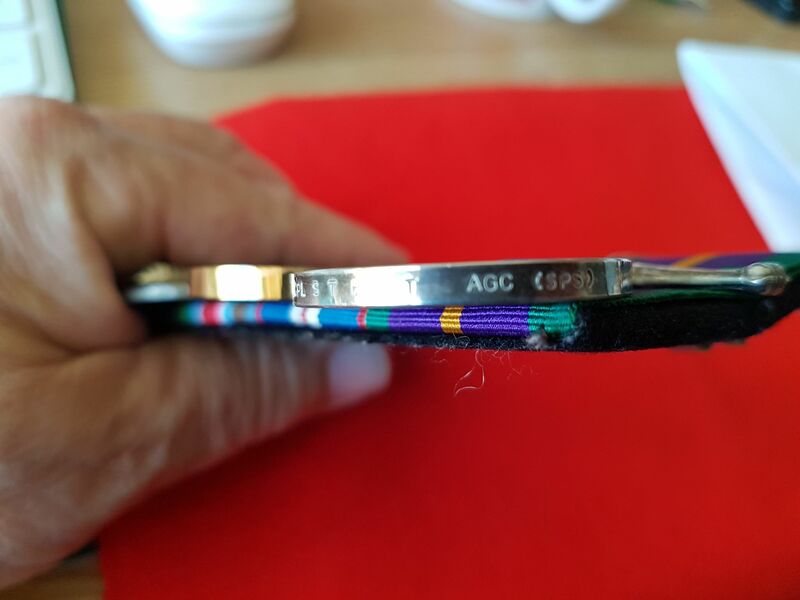 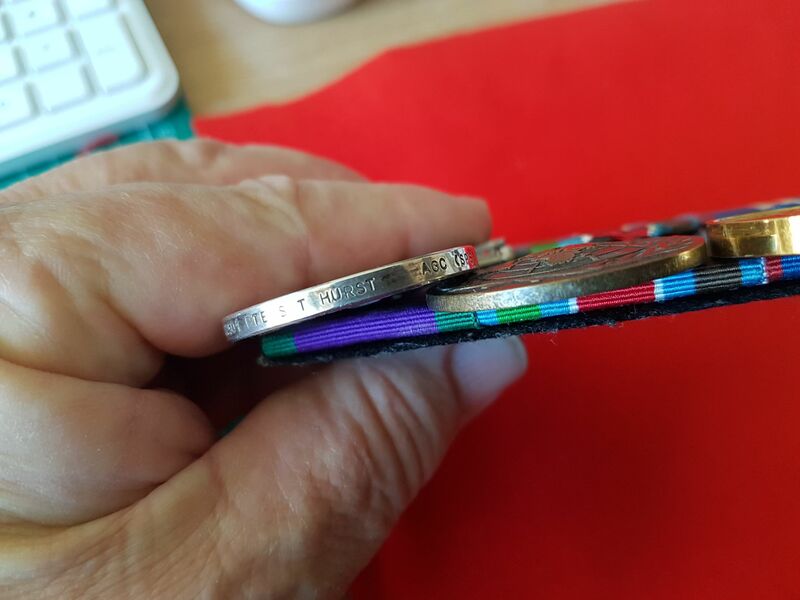 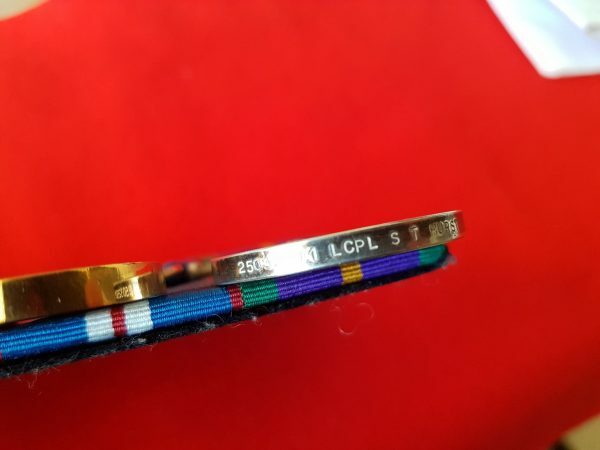 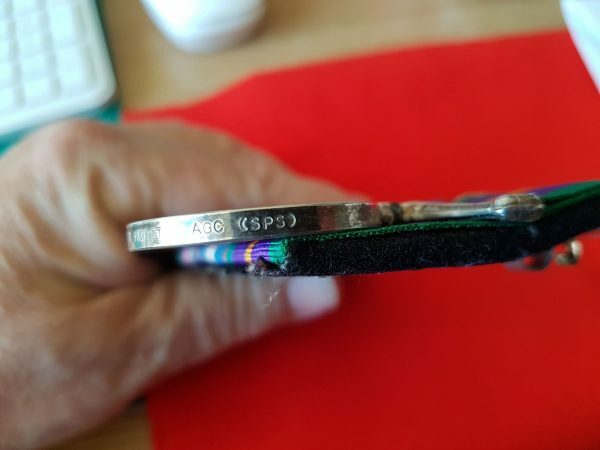 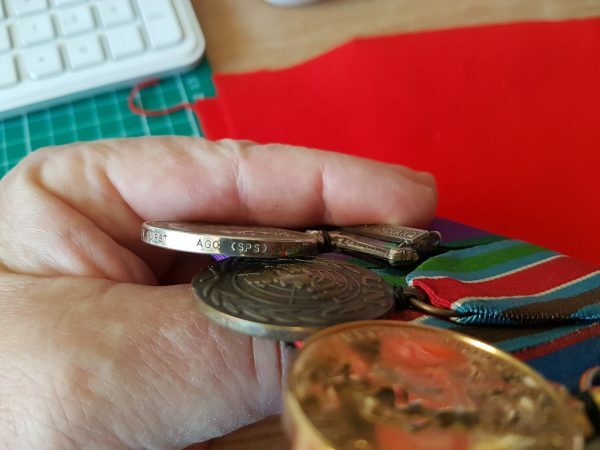 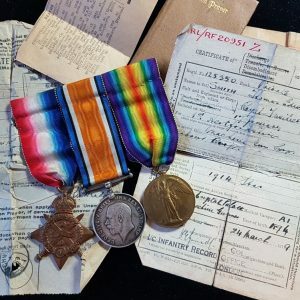 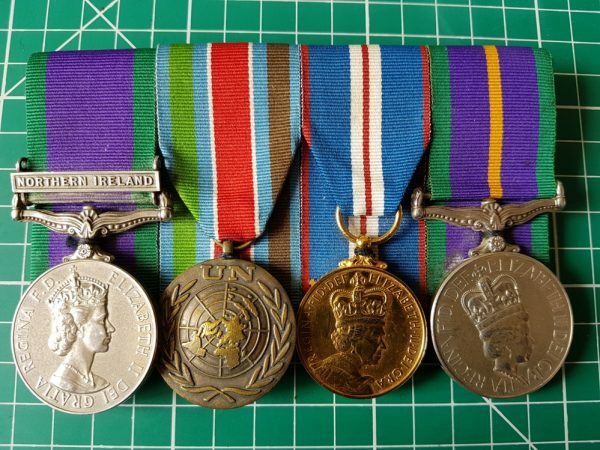 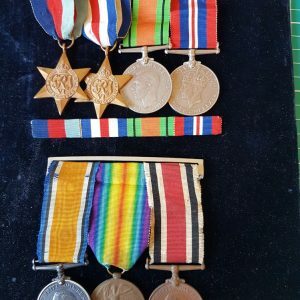 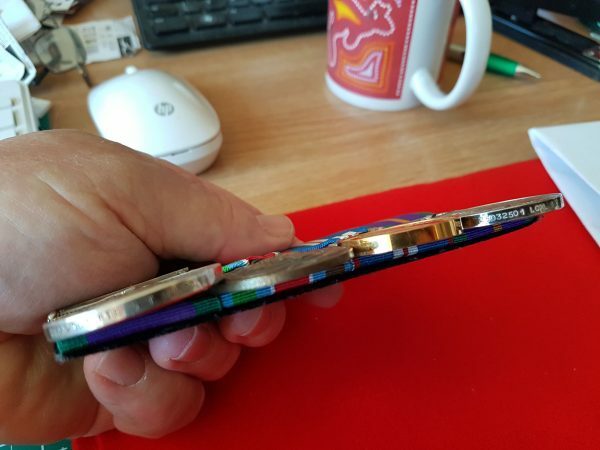 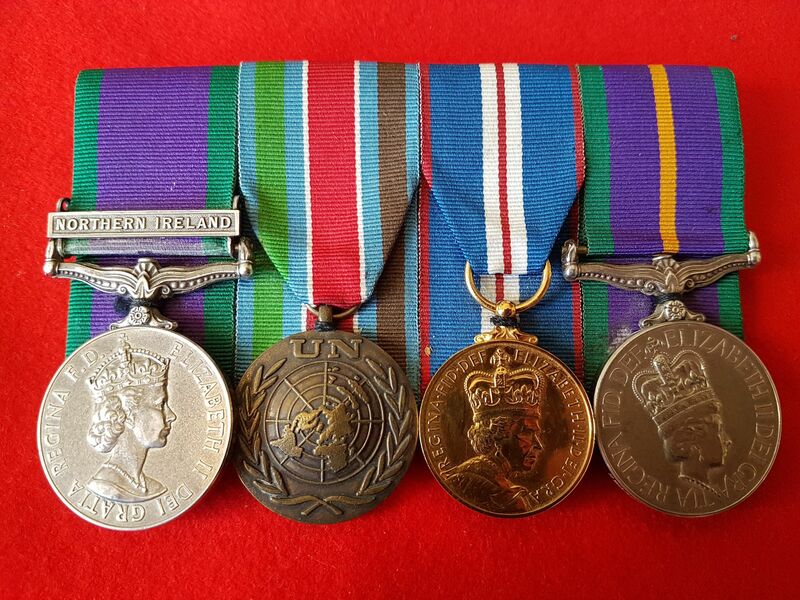 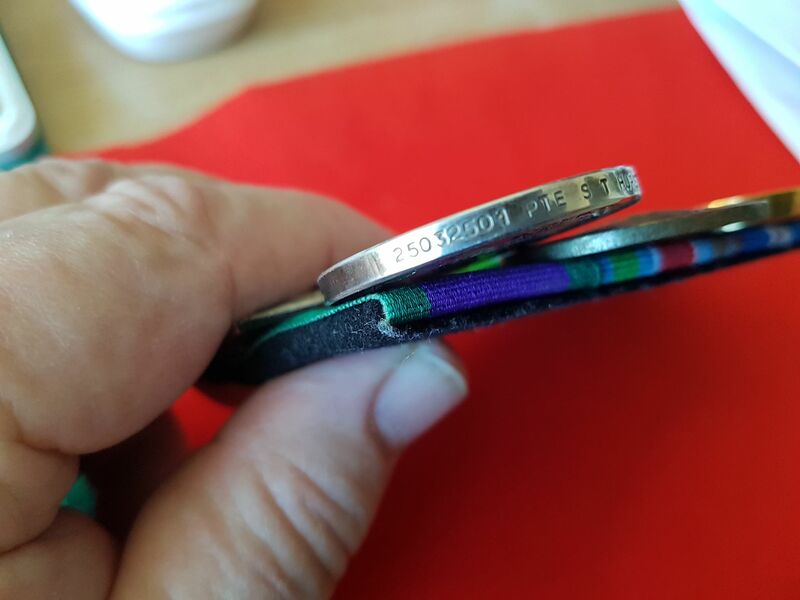 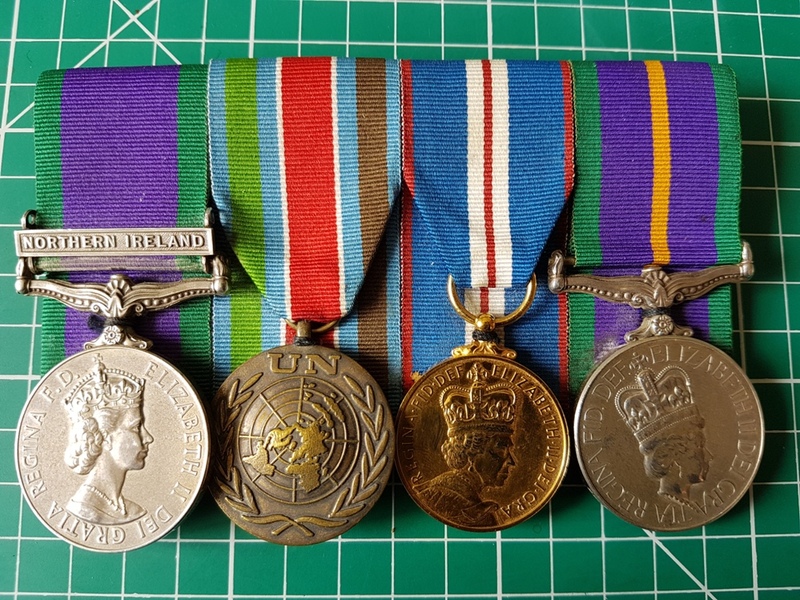 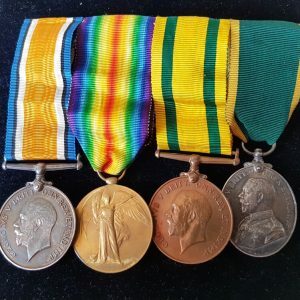 This pleasing group to an unusual unit is made up of a General Service Medal with Northern Ireland Clasp, UNPROFOR Medal, Queen’s Golden Jubilee Medal and Accumulated Campaign Service Medal. 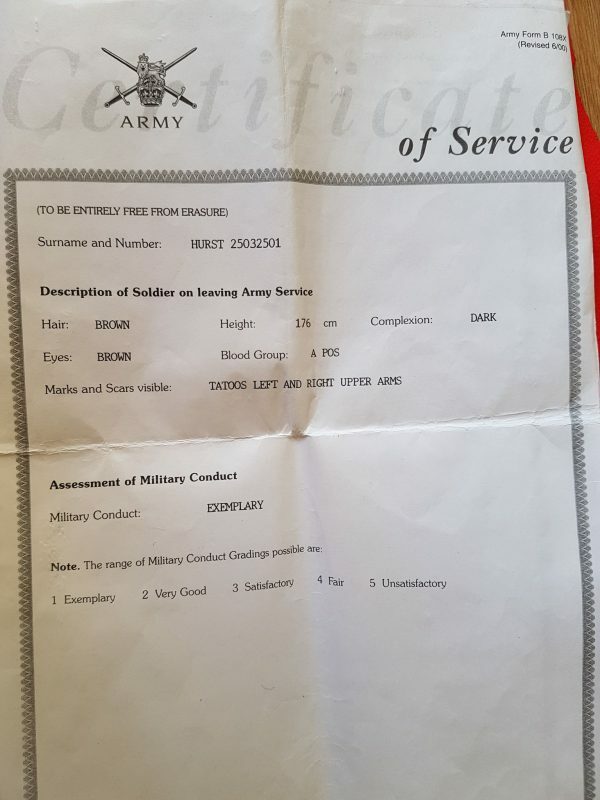 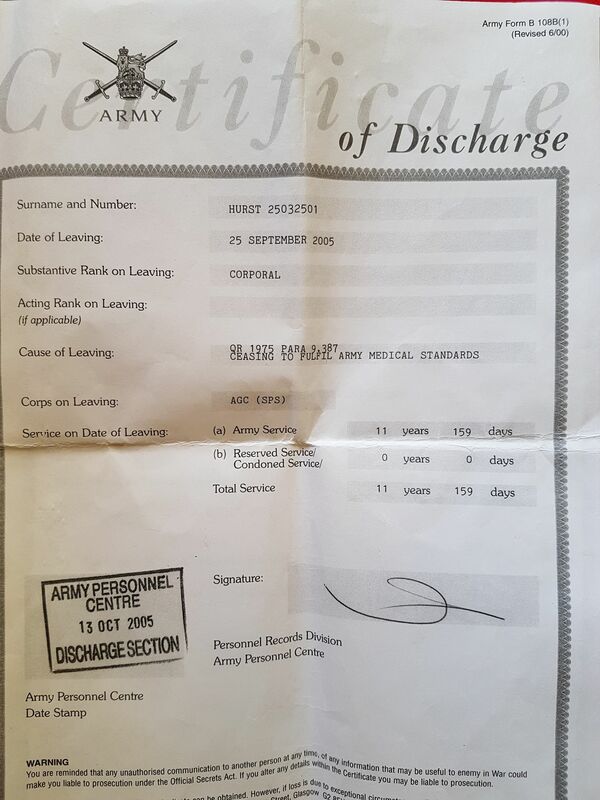 With copies of Certificate of Service and of Discharge. 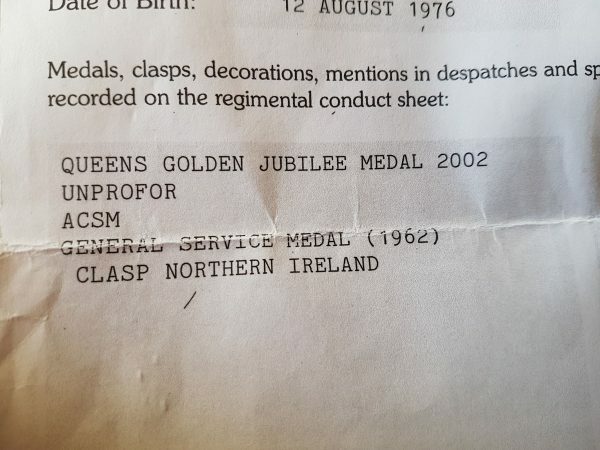 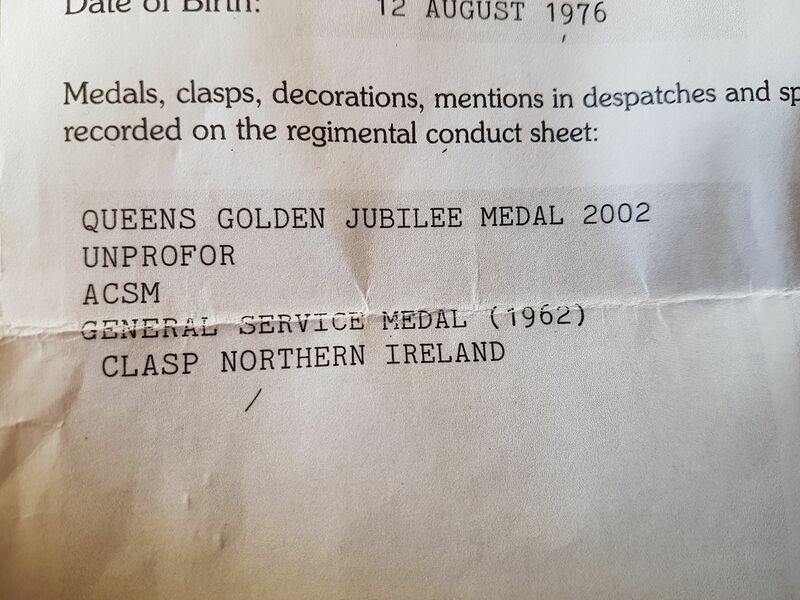 UNPROFOR Medal unnamed as issued. 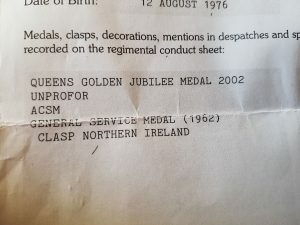 Queen’s Golden Jubilee Medal unnamed as issued. 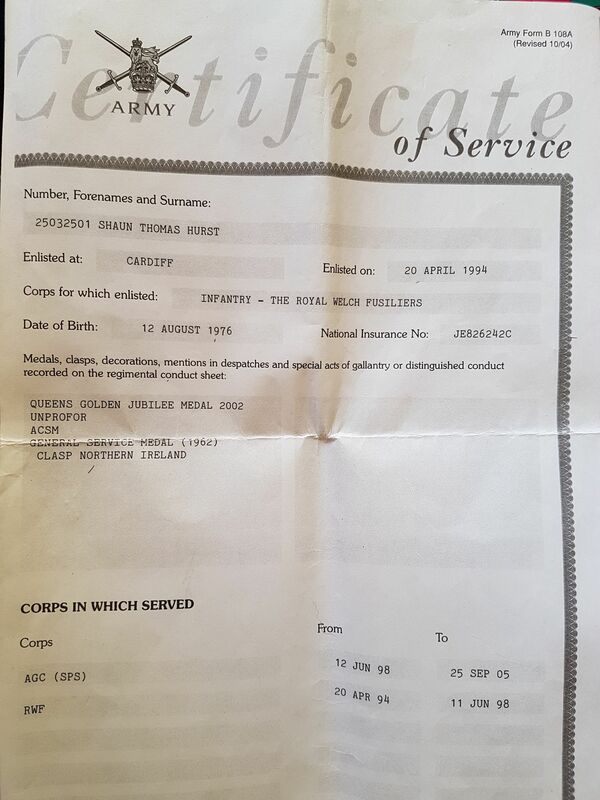 Shaun Thomas HURST enlisted in Cardiff on 20th April 1994, into The Royal Welch Fusiliers. He served with the RWF for 4 years and the AGC (SPS) for 7 years. 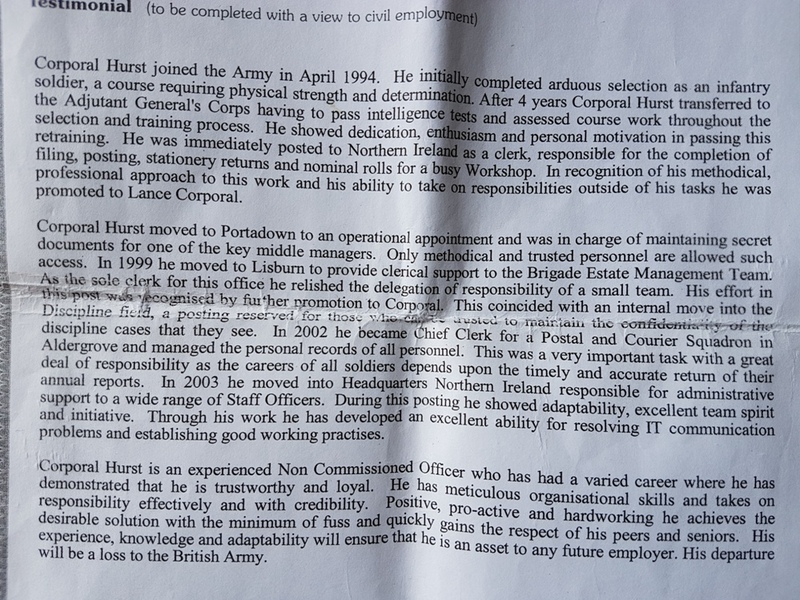 He was a very well thought of serviceman and his Testimonial, which is included in the copies, is signed off by HQNI and 15 SIG REGT.